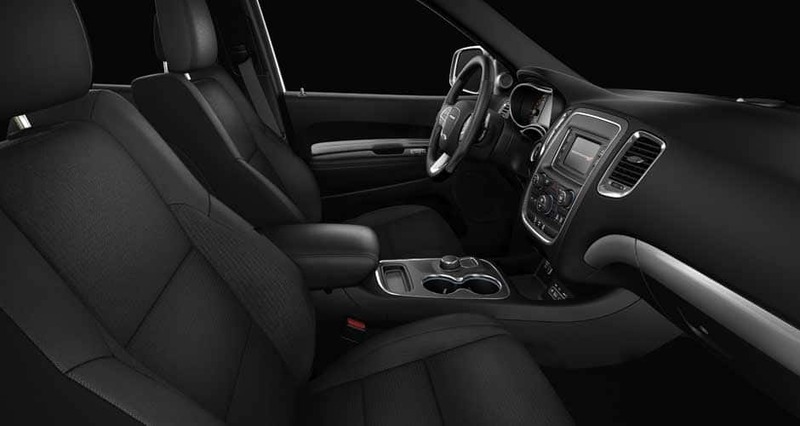 The 2015 Dodge Durango has plenty of extra features to feel very luxurious, and it is easy and swift to drive. Durango has an 8-speed automatic drive, improved fuel economy and a face lift. It is available in both all wheel and rear wheel versions in SXT, R/T, Citadel, and Limited trims. This vehicle is sophisticated with its 7-passenger interior, valued for its technology, and admired for its all-in capability. The engines of the Durango is an Eco mode that offers a less aggressive throttle calibration and earlier upshifts under light load. Eco mode is the default condition on startup. Durango V6 models can be had with an on-demand all wheel drive system, albeit with no low-range option. But for the most part, the Durango remains a stylish, aggressive-looking truck with available V-8 power, plenty of towing ability, and some fuel-economy technology lurking behind its menacing face. Designers shrunk down the grille's height, made the headlamps slimmer, and added Light Emitting Diode running lamps. In the rear, the Dodge Durango picks up the ringed, "racetrack" tail lamp treatment from the Charger, a hard to ignore 192 LED parting shot that accentuates the truck's wide stance. You'll probably need the extra electronic assistance of the rearview camera and parking sensors: outward visibility isn't all that impressive, though the Durango's squared-off corners do help in parking. For more information on this vehicle, feel free to give us a call today!